Ready to self-publish your book but don’t know where to start? 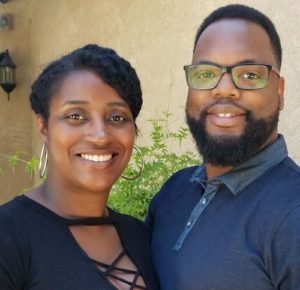 Join Writers of Kern and First Draft Publishing executive duo, Marcus and Donnée Harris, to find out how to create and market a self-published book that readers will love to buy. Marcus and Donnée will cover tools for publishing and selling a manuscript, how to use easy social media resources you probably already have to find new readers, and how to make the most of self-publishing platform, Amazon. Donnée, journalist turned self-published novelist and busy mom of three, wrote six novels that sold thousands of copies—all while staying home with her girls. Marcus created and marketed seven books while working full-time as an engineer. Both prove that writers can successfully self-publish and sell their books even when they don’t have a lot of time. Tickets: $10 for members, $15 for guests, include a buffet breakfast and can be paid at the door or online.